Long ago, across the rural southern United States, people made bottle trees, also called spirit trees, to keep evil spirits away by trapping them in bottles. Blue bottles attracted evil spirits the most, according to the folklore, then sun would come out and destroy the spirits. People would remove and plug the bottles, then release the plugged bottles into a river. In more recent times, bottles trees, usually made from dead trees with shortened branches and wine bottles of all sizes, represent works of art. You can also make bottle trees from metal. Drill holes 2 1/2 inches deep along the sides of the post, at 45-degree angles. Space each hole 8 to 10 inches apart. Do not make the holes even and symmetrical; drill them randomly. 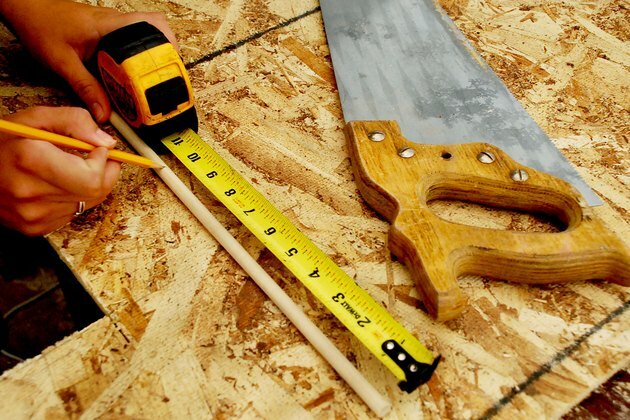 Cut the dowel rod into smaller 10-inch pieces for your "branches." 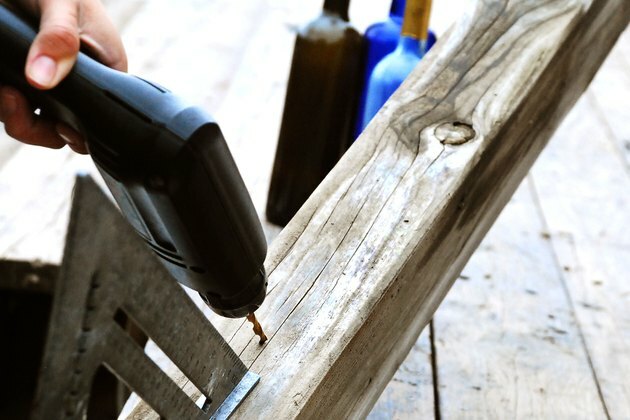 Insert each dowel piece into each of the holes you drilled. Now you have a tree with branches placed randomly, as real trees have. 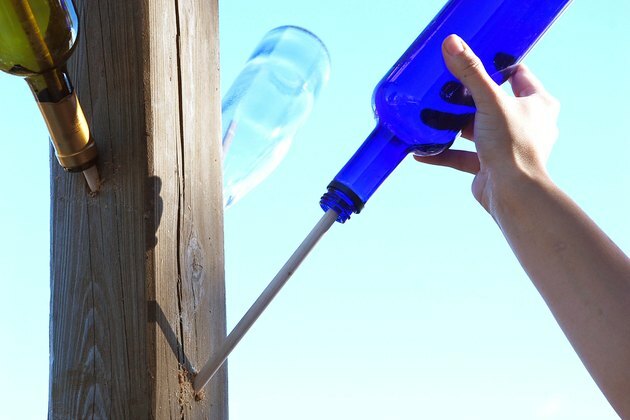 Place the openings of wine bottles of your choice onto each of the dowel rods along your tree. 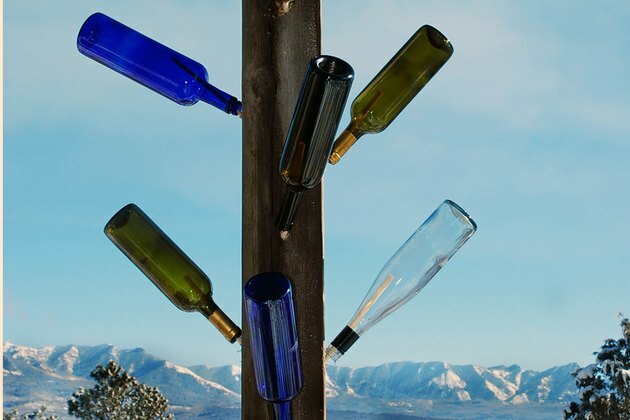 "Plant" your wine bottle tree in an area where the rising or setting sun will hit it, causing your tree to sparkle for a few minutes each day.